Daryl Mah Thomann is Chief Operating Officer for Make-A-Wish Illinois, where she directs central operations for the organization, including information technology, finance and accounting, talent management and development, legal, office operations, and manages strategic and financial planning for the organization. 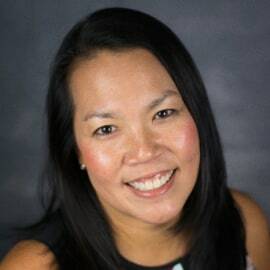 Prior to joining Make-A-Wish, Ms. Thomann was a management and economic consultant, with firms including marchFIRST, Mitchell Madison Group, and InteCap, Inc.  During her consulting career, she specialized in financial valuation and new venture strategy, and developing effective business practices for clients. She has been involved in political fundraising, serving as deputy finance director for the Clinton/Gore re-election campaign. Ms. Thomann holds a Bachelor of Arts from the University of Pennsylvania with a major in International Relations, and an MBA from the University of Chicago with concentrations in Finance and Marketing. Originally from the Washington, DC area, she resides in Chicago with her husband and three children.